Our Mission: Make the world a happier place one bite at a time. Christopher Chocolates loves our role in enhancing life. We are thrilled that our products can be parts of special savory moments and events. We hope you'll think of us a gift you give to yourself or share with others as a reward for all of your hard work. You deserve it, you're special and to be a part of that is our sincerest pleasure. To our valued customers, present and future, we can take care of so much of your gift giving needs in one stop. Contact us or come by and see what we have in store. Corporate Gift Orders are handled with the same care we give our individual orders. We will decorate, add personalized items or messages, and pack the gift carefully and securely so that each one arrives to tell clients, customers, or associates that you appreciate them. 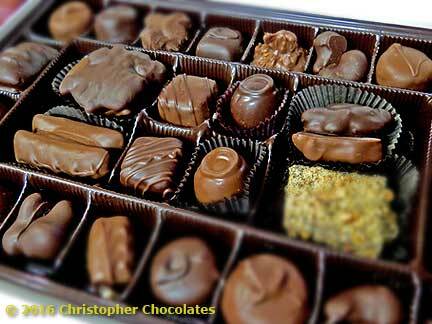 Christopher Chocolates, named for our son Christopher, was established in 1986. As a family owned and operated candy store, we have grown to lead our community in the making of fine chocolates and gourmet gift baskets. (We have had several store locations over the years in West Chester, Painters Crossing, Westtown, Wilmington and Rosemont but found Newtown Square to be our home.) In 1989, we began making Oh Ryan’s Irish Potatoes, named for our son Ryan. We've been a part of countless events, gifts, thoughts of others and we wish a sense of enjoyment to all those who encounter our products and our service. Even before we arrived in this part of Pennsylvania we were part of a confectionary tradition. That said it wasn’t until our arrival as a family to this area in 1986 that our passion turned into Christopher Chocolates. That was the year when David and Laurel Lamparelli created Christopher Chocolates here and began serving Philadelphia and her western Suburbs. Our first in-house confections included our chocolate covered pretzels and the response of our local community here on the Main Line let us know we needed to continue down the candy road! 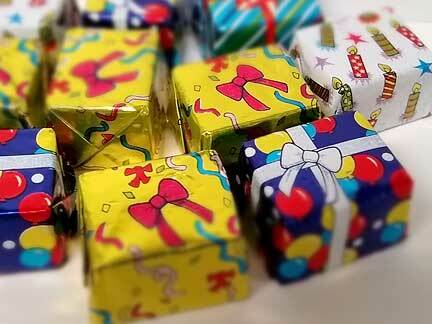 Since then it’s just been gifts and candies and enhancing life and making people happy. Now the next generation of Management, the businesses original namesake, Christopher is humbly mastering this practice of providing the best in confections and related services from a local and locally owned Family Business. Look for Christopher Chocolates to continue to provide the classic snacks you’ve come to know us for. Meanwhile we’re always innovating to have new flavors bench tested which lift the confectionary experience to new heights, pleasing our clients, their guests and your gift list alike.